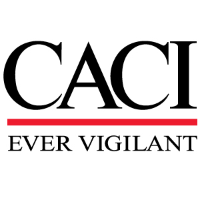 CACI is seeking a Sr. Generator Technician to support our program in Various CONUS and OCONUS locations. Perform preventative maintenance, load bank, field diagnosis and repairs on 50kW ~ 2500kW stand alone and paralleling generators and automatic transfer switches. Diagnosis and repair of related electrical components: paralleling switchgear, automatic transfer switches, distribution gear, transformers, service panels, voltage regulators, troubleshooting AC and DC circuits. Operate and maintain auxiliary generator equipment’s to include fuel systems. Utilize CMMS tools to manage building work orders, maintenance, repairs and spare part inventory. Maintain proper housekeeping of tools and power generation equipment. Perform various types and levels of repair on single-phase uninterruptible power supplies (UPS), including identifying overload conditions, battery replacement, and system replacement/installation. Troubleshoot at the paralleling switchgears and control panels to include PLCs. High School Diploma or equivalent and a power generation certification with a 10 years of experience in power generation operations; or 12 years’ Military experience in power generation operations. Technical understanding of power generation operation and maintenance, certification from power generation manufacturer preferred. Ability to effectively communicate, speak and write.